Rachel, aged 2, was identified as HIV+ at the TTF Clinic in late 2016 and was at risk of TB. Weighing only 7.1kgs (15lbs), our counselor, Mwenda, was concerned about malnutrition and wanted to include Rachel on the list of patients who would benefit from our nutrition program. As with all of the patients we are considering supporting with nutrition the team usually sit with the family or undertake a home visit to assess what the household is like, how many people the individual lives with and what the income for the household is. Rachel was also diagnosed with TB and without proper nutrition both Rachel and her father would struggle to get better from the TB, relying wholly on Elina to take care of them both. With the simple solution of providing Nutritional support to the family, through weekly food packages, at a cost of around $50 per month, not only were we able to support Rachel in gaining weight and becoming healthy, but also support Rachel's father in getting well and allowing him to go back to work to support his family whilst Elina looks after their daughter. 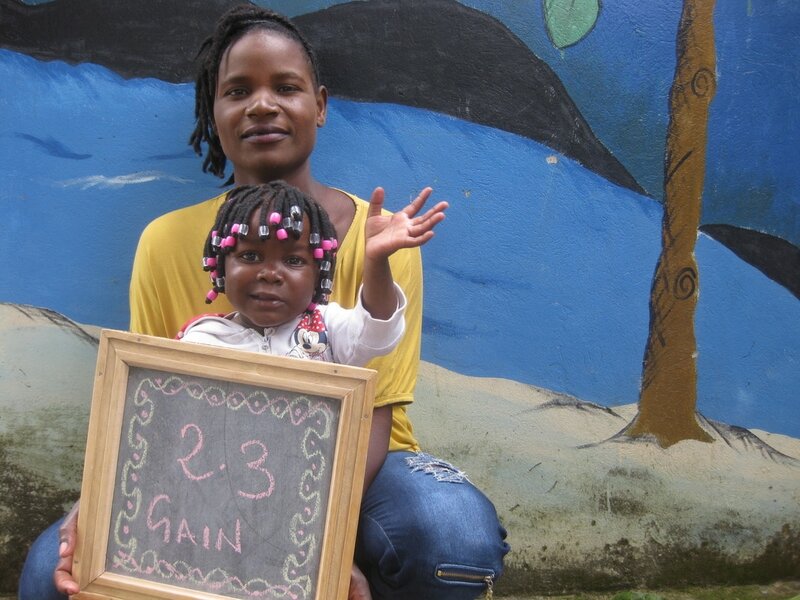 In only 3 months of nutritional support Rachel (now aged 3) has gained over 2.3kgs, and continues to thrive. It is only with your continued support that we are able to change the lives of families like Rachel's.